Palestinian farmers in the West Bank are paying the price for the government’s efforts to evacuate illegal outpost in the region, data published by human rights group Yesh Din on Wednesday revealed. According to the organization, in recent weeks there has been an alarming rise in the number of attempts to uproot or damage trees in villages in the area, and the phenomenon is expected to expand if the security forces do not take action against the perpetrators. 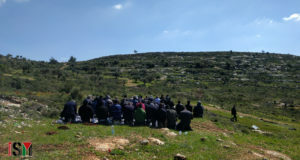 In a letter sent to Defense Minister Ehud Barak, Central Command Chief Gadi Shamni and Judea and Samaria District Police Commander Hagai Dotan, Yesh Din wrote that since the end of April and throughout the month of May, some 300 trees – mostly olive trees – have been uprooted or sawed in four West Bank villages. According to the group no one has been questioned in relation to the incidents. 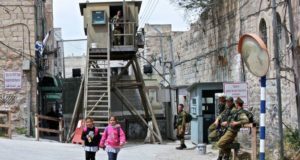 “We ask that, in light of the increasing calls for violence and for collecting a ‘price tag’ from Palestinians following the evacuation of every outpost, you order the IDF and the police to boost their forces and work to prevent, handle and investigate offenses, and plans to commit offenses against civilians in the West Bank,” the group’s lawyer Michael Sfard wrote. 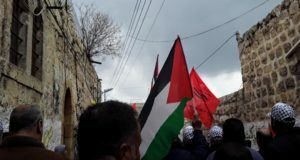 Sfard noted that in the last four years Yesh Din has repeatedly warned the law enforcement authorities in the West Bank of “systematic, organized and large-scale terrorist actions” taken by Jewish groups against Palestinian civilians in order to promote political objectives.